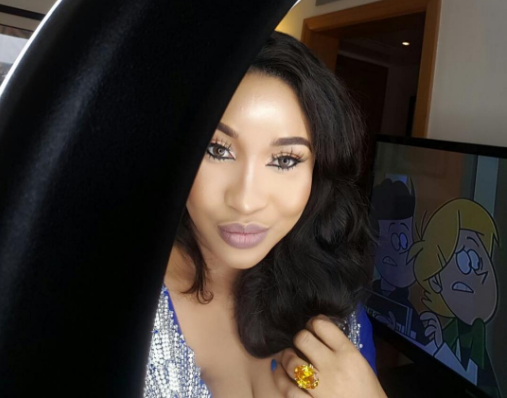 Tonto Dikeh shared a new photo on her Instagram page showing of her engagement ring. She captioned it: "Small girl with a very big God". Seems like everything is now okay with the Churchills.